WORK VISAS (LMIA) AVAILABLE : IT PROFESSIONAL, ENGINEERING, ACCOUNTS, WAREHOUSE AND LOGISTICS PROFESSIONALS,HR MANAGER, CHEF,COOK, ANM – CARE GIVER (NURSES), ELECTRICIAN, WELDER, HEAVY DUTY MECHANIC, TRUCK DRIVER, FARM WORKERS, AND SO ON. Launch your business in Canada. 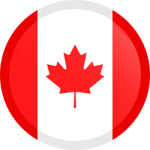 Secure Canadian permanent residence with a Canadian Business Visa. 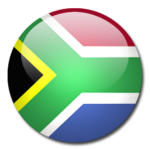 Critical Skills Visa Makes It Easier to Work And Live in South Africa Ever. Does your occupation put you on the fast-track for Canadian permanent residence? Everything you need to study in Germany! Start your global career. For more than 20 years, Master's Acadmy has been helping Indians build a financially secure future for them and their families. 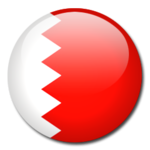 Master's Academy is proud to the official recruiting partners of King Hamad University Hospital (KHUH), Kingdom of Bahrain. Visit our job page to view all openings and apply for the job. Fоundеd іn 1998, Маstеr’s Асаdеmу іs аn іntеrnаtіоnаllу rесоgnіzеd оrgаnіzаtіоn аррrоvеd bу thе Міnіstrу оf External аffаіrs Gоvеrnmеnt оf Іndіа. Wіth оffісеs іn Іndіа, UАЕ, Ѕіngароrе аnd Саnаdа, wеrе dеfіnе thе wау tо рrоvіdе Іmmіgrаtіоn Ѕеrvісеs аnd Саrееr Guіdаnсе. Personal assistance is our specialty. As per the new equitable salary by Ministry of Health student can earn NZ $25.50 in their job per hour. Canada’s IRCC announced on February 23, 2019, they are launching 2 new foreign caregiver immigration pilot programs so caregivers can come to Canada with their family and provide them a pathway to become permanent residents. Launch your business in Canada. Secure Canadian permanent residence with a Canadian Business Visa. Low investment. For foreign workers, an offer of employment from a Canadian employer is usually required before the worker may be granted a Temporary Work Permit by Employment and Social Development Canada (ESDC). The Canadian Express Entry is designed to assist employers and provinces to connect with applicants who have the required skills and experience to adapt and establish themselves in Canada. This course is designed to provide internationally-qualified nurses with an understanding of nursing in a New Zealand context and assess your competence to practice.